Arzinger is an independent law firm headquartered in Kyiv which has regional offices in Western and Southern Ukraine, in Lviv and Odesa, respectively. Arzinger has for over 14 years been among the legal business leaders providing high-quality legal support to clients throughout Ukraine. Among the firm’s many clients are top representatives of international and local business. Arzinger follows high standards of legal services and is a reliable partner in view of its great experience in a wide range of industries and legal practices: M&A, corporate law, real estate and construction, antitrust and competition, litigation and arbitration, tax, banking & finance. We serve clients operating in the financial services, energy, mining and natural resources, pharmaceuticals, food & beverages, investment banking and corporate finance, telecommunications, retail & leisure, hospitality, aviation and automotive, agriculture, insurance, and infrastructure & transport industries. Arzinger employs highly-qualified professionals with vast hands-on experience in a wide range of legal matters, deep knowledge and understanding of the local market, international education and background. The firm has a team of over 70 seasoned legal professionals led by 8 partners. 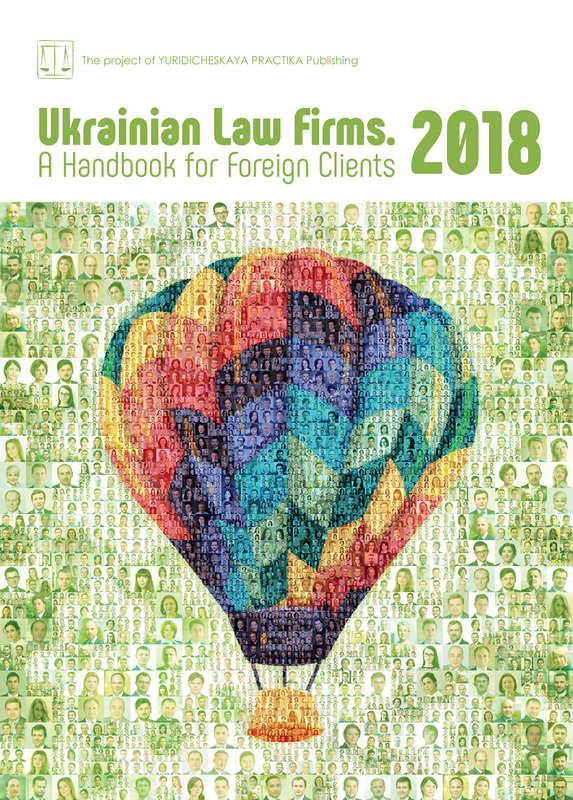 All of them are acknowledged among leading experts on the Ukrainian legal market and are recognized by reputable international and local rankings. As a result, Arzinger can offer extensive legal assistance to effectively support a variety of complex and challenging transactions, including cross-border matters. The firm renders tailor-made legal services of unsurpassed quality to meet the client’s expectations. Arzinger cooperates closely with legal advisors from numerous jurisdictions and is a member of international professional organizations, enabling it to engage colleagues from various jurisdictions in cross-border transactions and so provide clients with top-level professional legal advice. Internal anti-corruption investigations play a significant role in ensuring the compliance of a company’s activities with provisions of anti-corruption legislation and establishing its compliance culture and zero tolerance approach to bribery. Given that Ukraine is a high-risk jurisdiction from the perspective of anti-corruption compliance, both local offices of foreign companies and local businesses aiming to meet best international standards tend to conduct internal anti-corruption investigations in order to identify their weaknesses from the position of anti-corruption compliance and to mitigate possible corruption-related risks. Internal investigations can be conducted in a number of different ways, either fully by the company itself or by involving professional investigators, and may raise a number of issues at all stages of business conduct. Sometimes the results of the investigations only identify the potential risk zones, while in other cases specific violations of anti-corruption law may be identified. In this case officials of legal entities must make a decision whether to report a breach of the law to public authorities or to maintain it confidential and to deal with this problem internally. This decision must be made taking into account both effective legal requirements and the company’s reputational and business interests. Ukrainian law provides for a direct obligation to report corruption offences by public legal entities and state authorities. Anti-corruption legislation prescribes that officials of public authorities and public legal entities must immediately take the necessary measures to stop a corruption offence, if identified, and immediately inform the authorized anti-corruption bodies of such an offence — the Prosecutor’s Office, National Police, National Anti-corruption Bureau and the National Agency for Corruption Prevention. When it comes to private legal entities, the effective law does not directly oblige them to compile an external report on the corruption offences. At the same time, the law provides that legal entities must develop well-grounded and effective measures to prevent and combat corruption in their activities. Current Ukrainian legislation contains a number of regulations and principles that form the basis for voluntarily reporting by private legal entities of corruption offences. In this regard it should be stressed that the officials of legal entities, as well as other employees are obliged to refrain from any behaviour which may be treated as willing to commit a corruption offence related to the activity of the legal entity, and immediately notify the official of such legal entity responsible for prevention and combating of corruption (i.e. the compliance officer), its manager or founders (members) on cases of incitement to commit a corruption offence related to the activity of a legal entity and cases of committing corruption or corruption-related offences by other employees or other persons. Thus, it is evident that Ukrainian law obliges the employees of private legal entities to ensure internal reporting. An additional measure provided for by Ukrainian anti-corruption law and aimed at prevention of corruption in legal entities is adoption of an anti-corruption compliance program. The anti-corruption compliance program of a legal entity must be mandatorily adopted by private legal entities, provided the latter plan to participate in public procurements with an anticipated value in excess of UAH 20 million. An anti-corruption program can be voluntarily adopted regardless of the company’s participation in public procurements in order to ensure transparency of business processes, compliance with key principles of anti-corruption legislation and in order to gain reputational benefits and attract business partners. To assist companies in the implementation of the above-mentioned law guidelines regarding adoption of the anti-corruption compliance program, the National Agency for Corruption Prevention has developed the Typical Anti-corruption Program of a Legal Entity (the Typical Program), approved by Decision No. 75 of the National Agency on Corruption Prevention of 2 March 2017. Compliance with the Typical Program is voluntary for private legal entities, but it is expected to be the basis for establishing an anti-corruption programs. A typical anti-corruption program provides for application of disciplinary measures to employees who violate the provisions of the anti-corruption program, and establishing the procedure for taking measures to respond to discovered facts of corruption or corruption-related offences, in particular, informing authorized state bodies, conducting internal investigations, etc. Moreover, the Typical Program envisages respective provisions on whistleblowing, conduct of internal investigation and informing the specialized anti-corruption bodies in case of detection of a corruption offence, for which there is criminal or administrative liability. Taking into account the above, we understand that even though effective Ukrainian law does not oblige private legal entities to report public authorities on corruption offences, such entities are generally expected to conduct voluntary reporting. Yet, there is no direct legal liability for failure to report, as there are no mandatory reporting obligations for private legal entities under Ukrainian law. The valid Criminal Code of Ukraine of 2001 does not provide for criminal liability for failing to report a credibly known criminal offense to law-enforcement agencies. This also applies to reports on corruption offences discovered by internal investigations. For the sake of thorough comprehension, it should be noted that Article 187 of the previous Criminal Code of Ukraine of 1960 directly provided for criminal liability for failing to report a credibly known prepared or committed crime. However, the absence of the above regulation in the current Criminal Code of Ukraine does not mean complete decriminalization of the respective offence. Thus, the risks of prosecution should be considered through the prism of complicity in the crime, particularly in the form of covering up a crime or a criminal, by active actions. One of the manifestations of aiding and abetting (accessory) is the advance promise of hiding a criminal offender, the tools or means of a crime, traces of a crime or objects obtained by criminal means, purchasing or selling such objects or otherwise facilitating the concealment of a crime. As we know, following internal investigations the facts of corrupt acts committed are usually disclosed post factum. In this regard, it is worth remembering that concealment of a grave or especially grave crime not promised in advance is a criminal offence under Article 396 of the Criminal Code of Ukraine. At the same time, some corruption crimes fall into this category. For instance, they may include concealing the fact of an unlawful gain in particularly large amounts obtained by an official or an offence committed by an official holding a post with great responsibility. In other words, as a general rule, there is no obligation to report a crime committed by another person, let alone one’s own (personal) perpetration. A person is obliged to report only when he/she is specifically obliged to do so. Moreover, this duty should be legal. That is, ensuing from the law, official position, procedural status (witness, translator, expert), or previous behaviour. At the same time, it should precisely concern a credibly known crime. When making a decision, whether to report the results of internal anti-corruption investigation to the law-enforcement or any other authorities, representatives of private companies should keep in mind both the legal landscape and their business interests, including possible reputational consequences. At any time all the pros and cons of reporting must be assessed on an ad-hoc basis. If the company is subject to extraterritorial anti-corruption laws, such as the US Foreign Corrupt Practices Act (FCPA) or the UK Bribery Act, reporting requirements of these regulations must be analyzed and also taken into account. — conducting training for the employees to develop anti-corruption culture and to make sure that all employees are aware of the investigation and reporting procedures approved by the company.